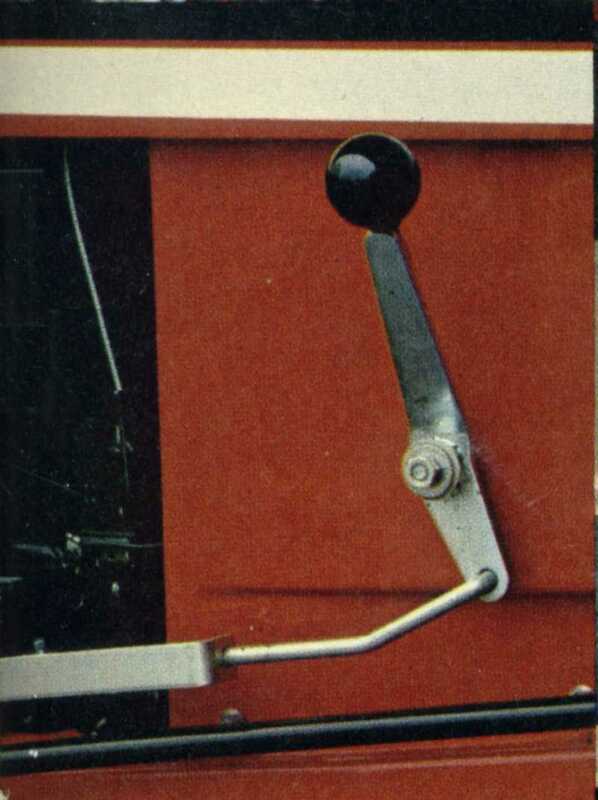 Browse this compilation of information from several sources, including 1974 and 1977 brochures plus a 1979 Owner's Manual . . .
600 series garden tractors . . . all new, plus a zip-sized 10 h.p. Check their references . . . ours say "garden tractor"-- 8 or 10 H.P. 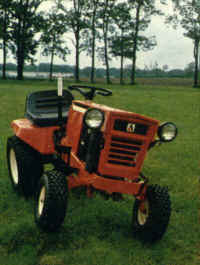 garden tractor. 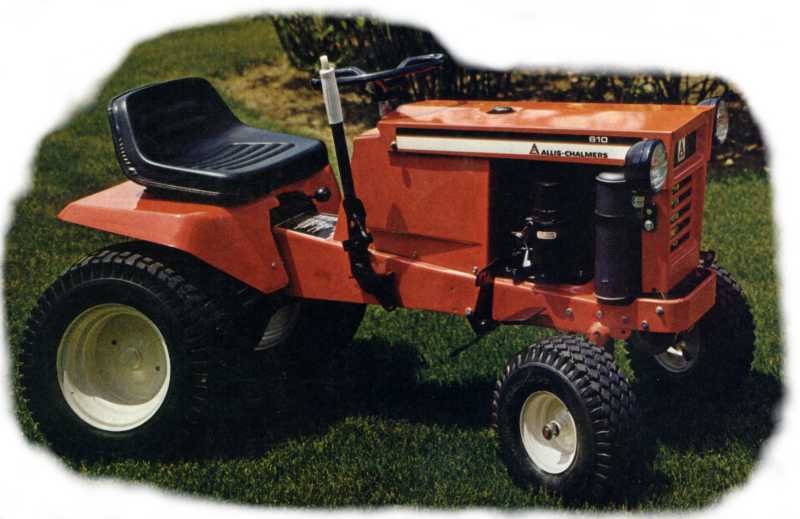 Which means these yardpower beauties outclass their classes because they do a lot more than mow. 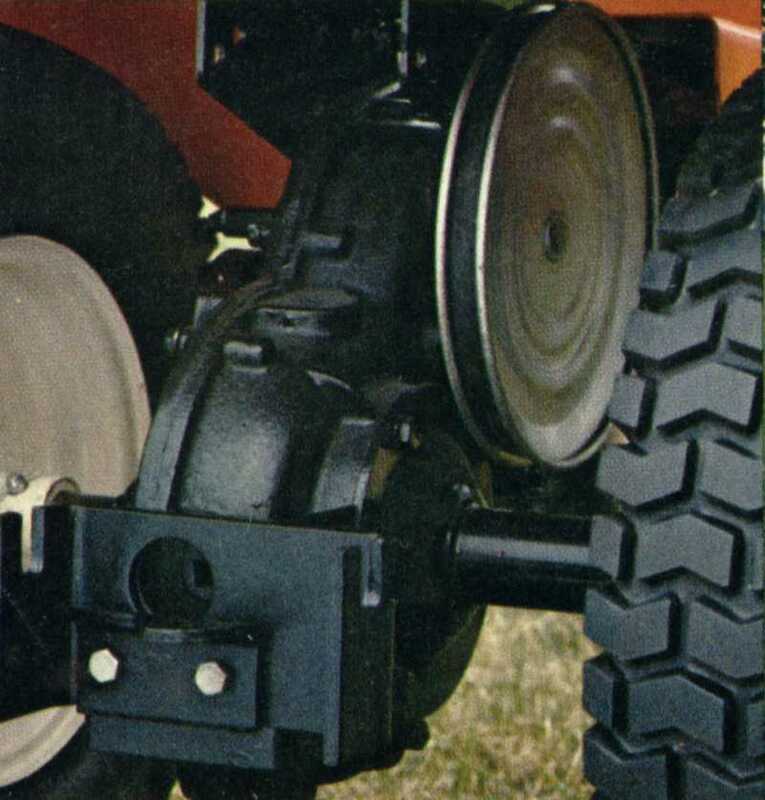 They handle front, center and rear PTO driven attachments. 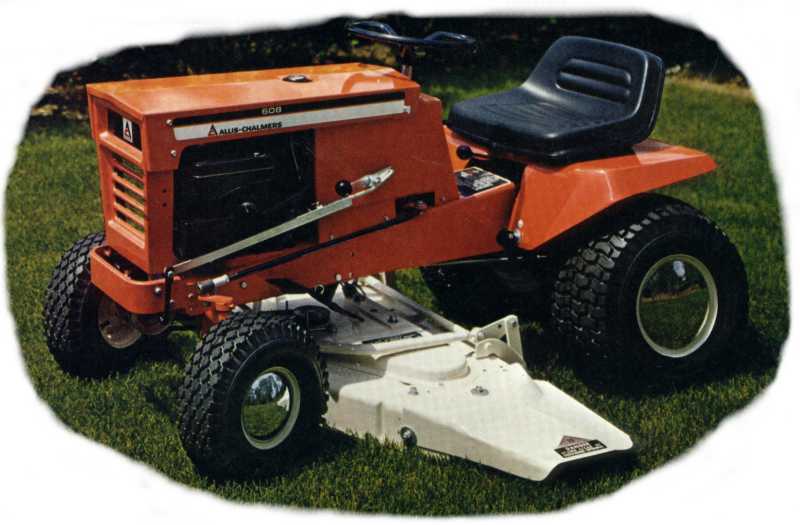 You can push things around with a front-mounted blade or blower . . . have an ideal over center view of grading or mowing . . . take pull-type soil working tools through a whole plot of crop ground in fast time. Comfort, convenience, control . . . it's all there from steer to stern . . . from top to tread. Ride one. These true tractors have some great moments to offer. 10 H.P. 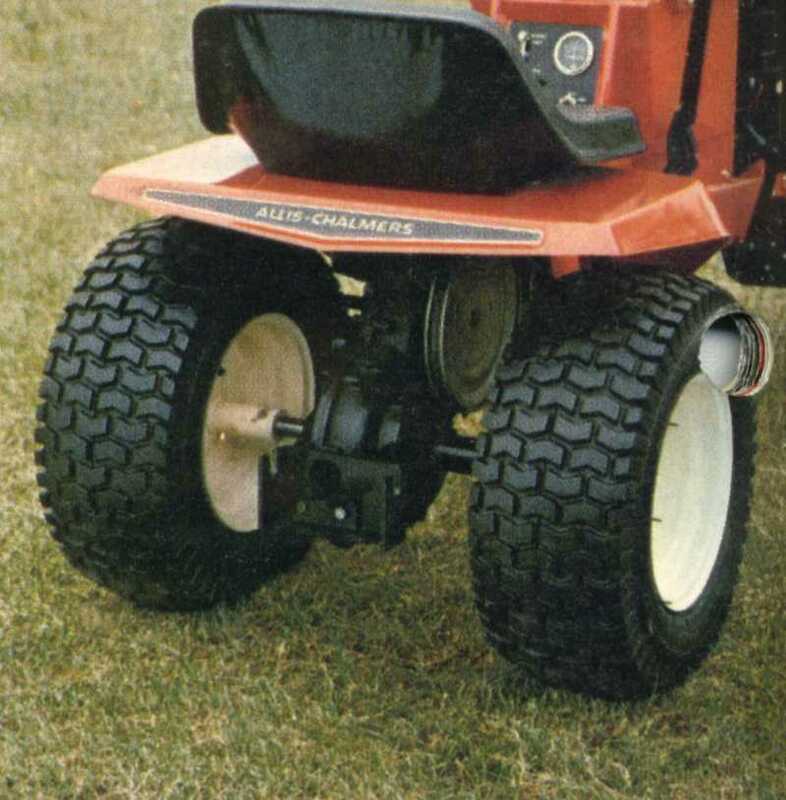 Briggs & Stratton synchro-balanced engine; electric start; interlock safety start system; center PTO; manual lift: drawbar; tilt-up hood; brakes; beadlock wheel rims; fuel gauge; ammeter; contour seat; 3-speed gear drive; belt clutch; 20x8.00x10 tires - rear; 5:30/4.50-6 front; limited slip differential; low-tone muffler. FLOTATION TIRES . . . 600 Series tractors have big, soft feet to step lightly on your lawn- even after recent rain. You make tight turns without tire grab and scarring. PTO . . . manage all the snow, grass or garden soil any 8 or 10 H.P. tractor should have to face. 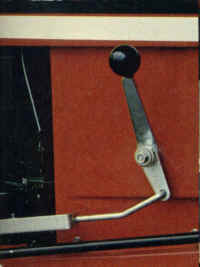 Full PTO availability for front, center and rear mounted attachments. TRANSMISSION . . . not general purpose add-on units. Gears are precision cut and mated. They run smooth in a gear case that can take all of the rough starts and stops you can dish out. FRAME . . . pivots so front axle follows lawn contours and crowns. 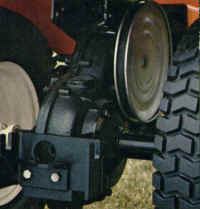 Center positioned mower attaches to front axle . . . follows axle up and over high spots without scalping or ridging. FOAM SEAT . 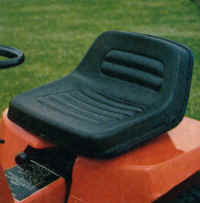 . . you ride in comfort on a dense molded foam seat, adjustable to three positions to suit your reach and comfort. One-piece seat deck gives you a full-width fender style enclosure. 8 H.P. Briggs & Stratton air-cooled engine; electric start; interlock safety system; center and rear PTO; manual lift; drawbar; tilt-up hood; brakes: beadlock wheel rims; fuel gauge; ammeter; 3-position seat; 3-speed gear transmission; belt clutch; 9:50x 8 tires; limited slip differential; low-tone muffler.